Dr. Ali Sadrieh, a podiatrist in Beverly Hills, has started to perform cosmetic foot surgery. 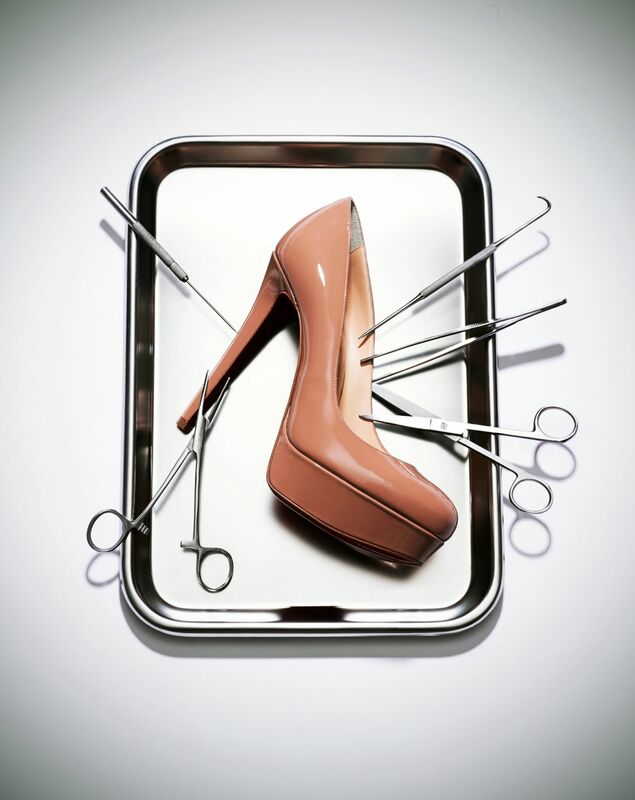 According to an article published by the New York Times, women bring in designer shoes that their feet just don't fit or that are just too uncomfortable, and Dr. Sadrieh performs surgical proceedures to change that. He does toe lengthening and shortening, fat pad augmentation to help with comfort, and foot narrowing procedures. What do you think, extreme or justifiable?